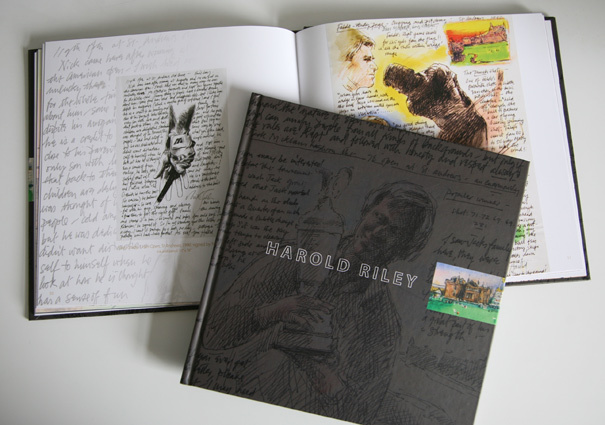 Since 1946, as a 12-year-old, the renowned Salford artist, Harold Riley, has been visiting the Open, capturing the colour, excitement and personalities of the event in pen and paintbrush. During this year’s Open at St Andrews, many of these drawings and paintings will be on exhibition at Fraser Gallery. These works feature in the latest commemorative book we have produced for the gallery.